After the death of his father, Odd's life has been stuck in a downward spiral. However, his luck begins to change after he frees a trapped bear in the woods. 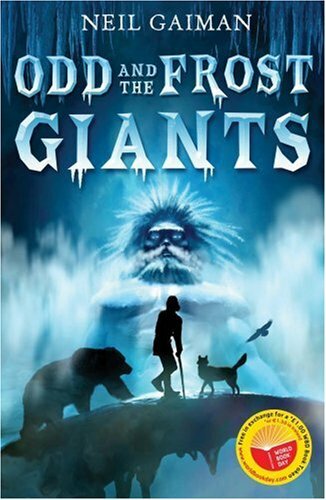 Discovering that the bear is actually a Norse god, twelve-year-old Odd embarks on a perilous quest to save the other gods from evil frost giants. First off, I have to thank my Goodreads buddy, Bill, who sent this to me when he saw it was on my wishlist. Thanks, Bill! Odd and the Frost Giants was a weird one for me. Sometimes there are those books that you really enjoy reading as an adult, and wish you could have read when you were a kid because you would have loved it even more. And sometimes there are those books that you were just kind of meh about as an adult, but have a sneaking suspicion you would have loved it as a kid. Odd and the Frost Giants was the latter for me. I liked it well enough, and thought it was cute, but the little spark I saw in it never really caught. At the same time, though, there were multiple times when I was reading (and this is a very short, quick read) that I thought "I would have loved this as a kid." But the kid magic just didn't translate as an adult. I think there were 2 reasons it would have been a favorite as a child: 1 - it centers around mythological characters. I loved mythology as a kid, but was kind of starved for it. There weren't any cool retellings or books based on gods when I was a kid (Where were you, Percy Jackson? Where were you?). The tiny Joseph Campbell in me would have eaten this up. The 2nd reason, though, is one I think is more universally relatable: the style was just too simple. When you're a kid, you're imagination is so crazy and ready to go that you can create an entire world out of the meagerest of ingredients. There have been countless times that I've remembered a book or a movie or an event as larger than life, so epic and memorable and insanely complete, only to revisit it as an adult and realize that it's really pretty simple and plain. Like going back to your huge school with the massive desks and endless staircases, only to see that it's all practically miniature-sized. That puts me in a weird spot writing this review. It's not that the book is poorly written, or that Gaiman didn't flesh it out as he should have. What he gave is completely appropriate for the audience, and the proper audience, I think, would appreciate it and love it. But I'm no longer the myth-starved 9 year old who would love this book, and unfortunately (for me) it left me wanting...but knowing all the while that in the right setting, at the right time, this would have taken over my imagination completely. So is this a really weird recommendation for a book, or do you get it? I do think people should read it, but more than that, I think people should give it to any kid that it would remotely appeal to: myth/history/adventure buffs, fairy tale and underdog story enthusiasts, reluctant readers and boys especially -- I think this book could be a really good fit for so many kids, and I wish I could have been a kid when I read it. 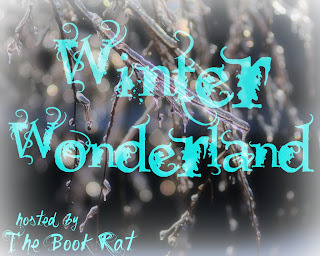 Here's my "ice world" excerpt of Odd and the Frost Giants.